Rocky Point Park is still on many Rhode Islanders’ minds. 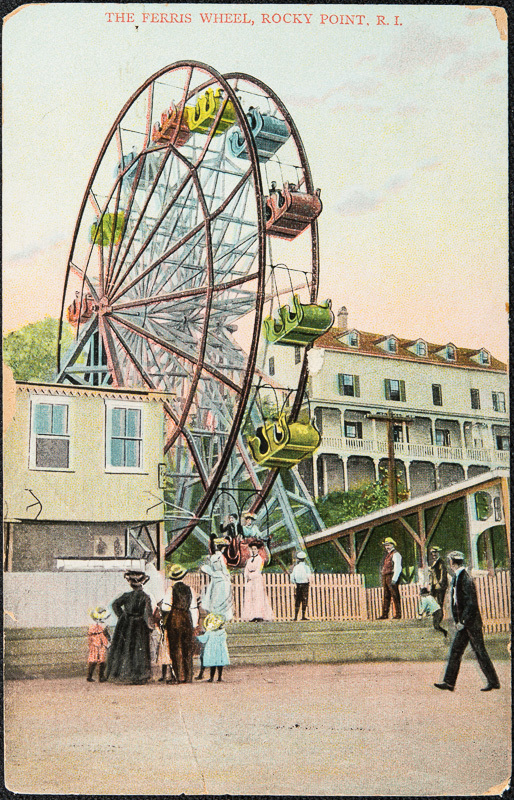 The park, shut down in 1995, was a beloved part of Rhode Island since the 1850s. Over the 19th and 20th centuries, the park grew to its final mammoth size, and continued to renovate and update its attractions. 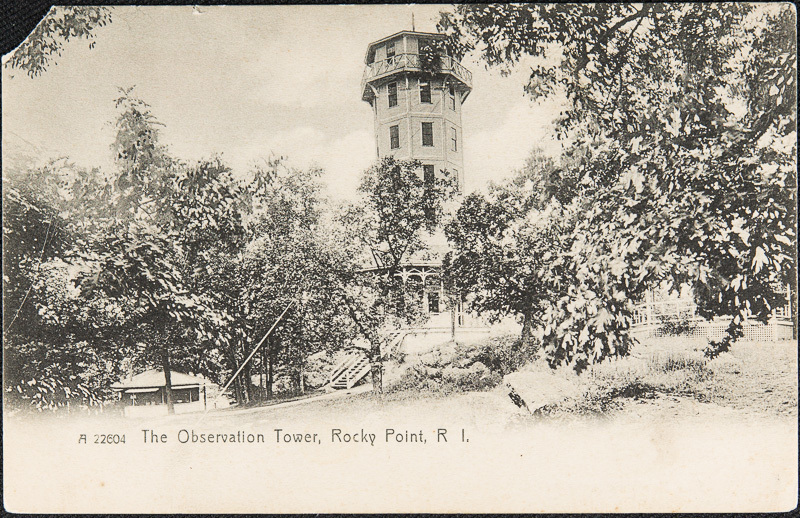 Not only did Rocky Point Park remain an important place to the Rhode Island community even after it closed, but many Rhode Islanders celebrate the park’s history through various blogs, books, and the well-known documentary on the park. Rocky Point Park is in Warwick, Rhode Island, right on the shore. It started small, as a favorite day trip location in the mid 1800s of Captain William Winslow. Like many beaches, a hotel was built near the beach in order to sustain the influx of tourists. As years passed, Rocky Point began to grow into a large-scale amusement park. 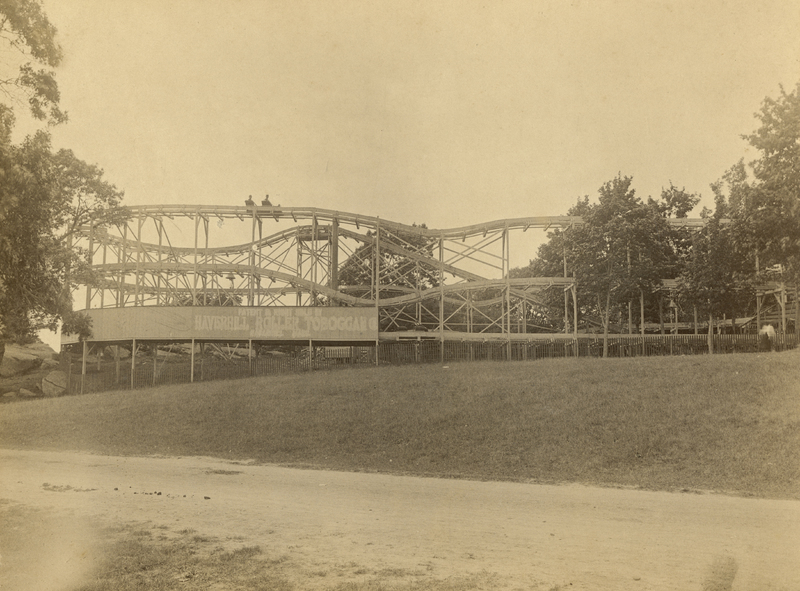 Its rides included various roller coasters and the Ferris wheel created by Charles Looff, the same man responsible for the carousel at Crescent Park. 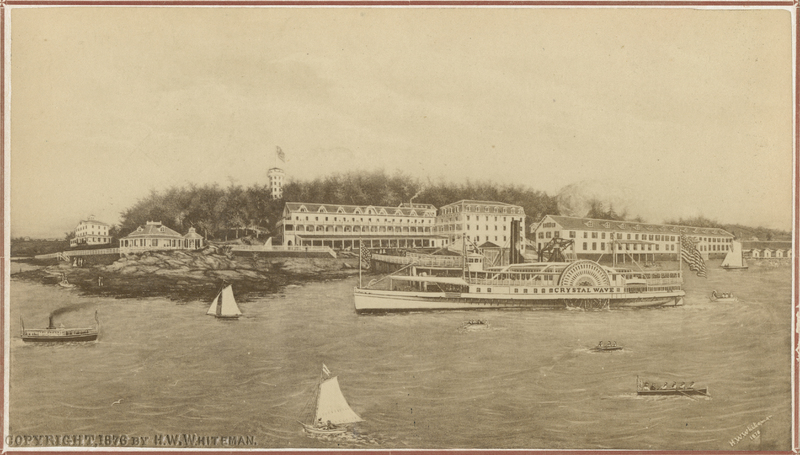 Steamships traveled to the shore to make it easy for people to visit Rocky Point. Other attractions at the park included bowling, the dance hall, and shore dinners. Rocky Point was best known for its clambakes, and the park even served these clams to President Hayes when he came to visit in 1877. The park ran into its own difficulties throughout the years. The hotel was rebuilt after it burned down in 1883, the 1938 hurricane did damage to many rides at Rocky Point, and the park had to close in 1995 due to its financial struggles. Many of the most well-known rides that were still in use in ‘95 were sold to other parks all around the world when Rocky Point closed. Even though Rocky Point closed, it still is a very important part of Rhode Island heritage and many efforts have been made to memorialize and celebrate its past. The 2007 film, You Must Be This Tall: The Story of Rocky Point Park, made by a Rhode Island filmmaker David Bettencourt, tells the story of the park through interviews with former park employees, Rhode Islanders who favorited the park, and even Rhode Island politicians including the infamous Buddy Cianci, former Providence mayor. The small-scale documentary makes clear how beloved Rocky Point Park is, and the importance of collective memory in remembering the park. A quick Google search will show you the number of independent websites devoted to Rocky Point Park and fundraising initiatives to attempt to bring the park back. While it seems unlikely that Rocky Point Park will be an amusement park again, in 2014 Rocky Point Park became a state park. Visitors today can see remains of the former amusement park, such as the arch, scattered signs, and some demolished ruins, and can enjoy the beautiful shore area for hikes. 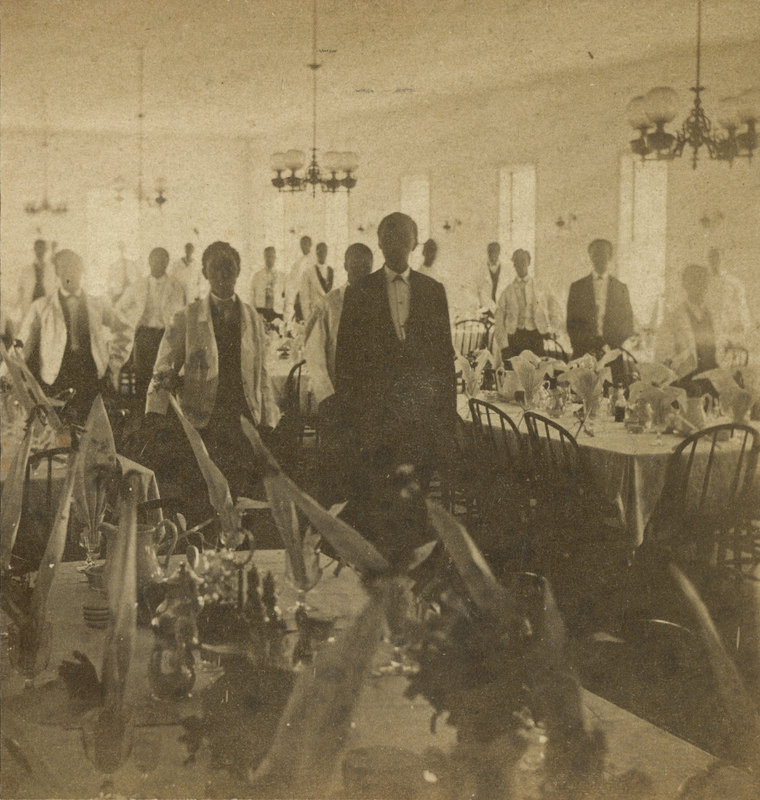 The Dining Room: Photograph of the dining room staff, all of whom appear to be African American. ~ Source: Rhode Island Historical Society ~ Creator: Publisher: Bangs Williams News Co.
Rocky Point Park was where President Hayes used a telephone for the first time in front of a large crowd to celebrate technological progress in America. 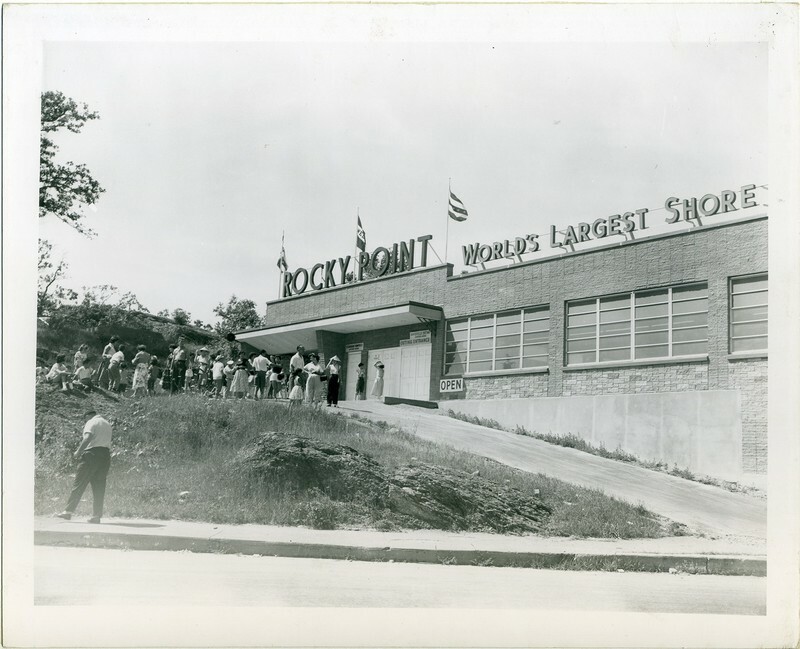 Janie Merrick, “Rocky Point Park is Not Forgotten,” Rhode Tour, accessed April 23, 2019, http://rhodetour.org/items/show/331.